When I say 'your' goals, what I mean is your personal goals, the goals of your team, department and your entire organisation. Really, do you know them? Do they all lead to the same conclusion? Hoshin Kanri is a technique which creates actionable plans that deliver on tactics and strategies to achieve results. We're talking real joined-up-thinking, across the whole enterprise here. The literal translation of Hoshin Kanri is usually cited as being either 'Strategy Deployment' or 'Policy Deployment', which makes it sound, well, a bit naff! What it means, one bit at a time, is Ho (direction/method/form), Shin (focus/needle), Kan (alignment/control), Ri (reason/logic). Ahhh,.. there's that strategic alignment thing we keep talking about! At the team level, Scrum tries to accommodate this by having a single cohesive product backlog which all stakeholders agree on. At a larger level there's 'Scrum of Scrums' or more recently, the Nexus framework. Both approaches attempt to coordinate many teams on one backlog. I've seen that happen, and work well, once. It's possible but rarely happens when there are lots of people involved. The truth is, Lean-six-sigma (et al.) has about the only workable and structured system for creating strategic alignment without an enormous amount of discipline and overhead. Hoshin Kanri is the technique and the most common way of going about implementing it involves a process called catchball and a tool called the X-Matrix. Much cooler sounding than 'Policy Deployment', right? For some reason, these techniques haven't made their way across into the software world like many of the others have. We've collaborated on and argued over the subject of scaling agile to the enterprise for years. We've worked in our teams, convinced that we're all headed in good, but slightly separate directions. It is simply not true and we instinctively know it. When you reach a certain scale, things start to not feel right. We all want the same things, it just gets harder to achieve. Having the organisation all work towards a common of goal negates the need to scale up. Read that again. Negates the need to scale. You can forget about utilisation, that's not the point. Delivering on your goals is. If you want evidence that this applies to your organisation, let me ask; have you ever waited too long for another team to do their bit? Have you ever delivered something that nobody used? Have you ever argued the importance of one initiative over another? Is it hard to justify engineering best practice over feature work or schedules? You're misaligned. It comes down to a lack of strategic systems thinking and the best explanation of this I've found, was delivered by one of my greatest influencers, Dr. Russel Ackoff. If you haven't watched this video, do that right now. It's only 13 minutes long. I don't even care if you come back to read the rest of this. It will be worth it, I promise. The purpose is to create a vision for the next three to five years, break that down into goals, objectives and action items and then tie it all together with the metrics you're going to use to track progress and the people or teams responsible for doing the work. It's designed to cascade the planning process so that even the smallest task is deliberately taking the organisation closer to its vision. That's all well and good but there are a couple of issues with the 7 steps. Firstly, it's really top-down. You might not be in charge of the three to five year plan but because it's designed to cascade, it is applicable at any level of planning. Even if it's just your own team or personal plan. Secondly, especially in software, it's just too slow. Things change quickly for us so monthly and yearly reviews are often too late. You should feel free to use planning horizons that make sense in your context. If you're able to implement this approach from the very top of your org, definitely go for it but don't be put off if you're not able to do that. What I'm about to explain will work for you at any level. What results we want to see. What strategies we believe will deliver those results. What tactics we're going to use to fulfil those strategies. Which metrics we need to know if it's all working to plan. Which people are going to do the work. Where possible, each dimension should have a high correlation with it's neighbour. Results should be closely correlated to strategies. Strategies should be closely correlated to tactics. Tactics should be provable by metrics. There should be minimal contention on and maximum clarity over who is doing what. The X-Matrix is a great tool for documenting and communicating that and the catchball process is a good way of facilitating its creation. Catchball is a consensus driven approach to strategic planning. It helps to avoid the 'us vs them' effects of top-down management and there are many ways to go about it. I'm going to explain a simple, one-off meeting approach here. You can scale this to a more formal multi-stage approach if necessary. 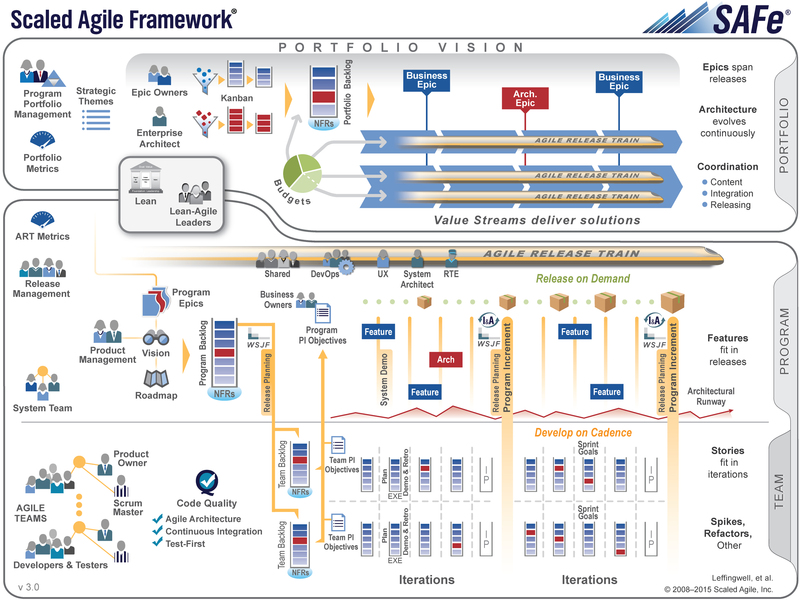 If you've worked in an agile organisation, you'll be familiar with retrospectives. The idea is to look back at the most recent iteration, highlight the things that went well and those that didn't go so well. From there, you create a plan for the next iteration that is supposed to improve on the last one in some way. There are many approaches to facilitating this meeting and most of them focus on a structured conversation designed to make the process simpler and easier for those involved. Catchball is very similar to that in a lot of ways. It is essential that a skilled facilitator runs the meeting because there are some rules that should be obeyed if it's going to be productive. Particularly when an organisation has very tall hierarchies, there is an incentive to people to fight for their own turf. The idea is simple. Everyone in the group takes a turn to throw an idea into the mix. The next person in turn will 'catch' the idea and either change it, add to it or pass it on if they have nothing to add. You repeat that process until a consensus is found. It's really important that each person waits their turn to speak and that everyone contributes. Collect a group of people who feel comfortable representing their respective areas. The group should be well balanced and include people from all levels of the organisation. Now, it's time to use that process to build an X-Matrix. I've created a template so you don't need to make this all from scratch. There are a few of these littered around the internet but mine looks like this. Filling out this template is the goal of our catchball meeting. Time to get started. Now the catchball process begins. From here, the first person will suggest a strategy that will bring about the desired result. A strategy is a 'big idea' or initiative. Things like 'Improve security', 'Simplify processes', 'Reduce technical debt' or 'Achieve feature parity with competition' make good candidates. As a facilitator, you'll want to avoid the conversation getting into the weeds here. Keep the conversation at a high level for now; you're thinking big at this point. Remember to make sure everyone takes their turn. Groups can easily get over excited in this stage of the process. You also want to stay focussed on one strategy at a time. The facilitator should make note of anything they shut down so when consensus is reached on one strategy they can say "Bob, you suggested something else a minute ago. Why don't you start us off on that?". Keep in mind though that not everything will gain consensus. The matrix is deliberately limited to 5 rows in each dimension. If you have any more than 5 key strategies, you'll end up spreading yourself too thin so it's okay to throw an idea away if the group can't agree. For our example, let's say two strategies emerge; increase advertising and improve customer relations. The next step is to say how strongly each strategy correlates to the result we're discussing. There are different ways of doing this but I suggest a one-to-three scale to keep things simple. You can change that if you want; it's up to you. In the cells where results and strategies cross, say how much they correlate with each other. You might find that some of the strategies you have don't have a high correlation with your results. At this point, discard them. You might also be thinking the same about some the strategies you already have in place. If you can, discard them too! Right then; we're at the business end of things now. What are you going to do to fulfil the strategies you've agreed on? The group likely already have an idea how this will play out. You might have already had to stop the conversation from venturing this far. Follow the same process again. One person at a time, one strategy at a time, one tactic at a time. This time you're looking for specifics. Tactics are actionable things. In our example it could be 'integrate live chat', 'start a google adwords campaign' and 'create a company blog'. Fill out the top-middle section and correlations just like we did before. Don't feel too bad if a few things don't line up. The AdWords campaign doesn't improve customer relations but there are other things that do. If you see lots of low correlation though, rethink some things. None of what we have so far is any use if we don't know whether it's working. Metrics help keep you honest if they're the right ones. This step is usually much easier than the previous ones. Particularly in the software world, there are established systems for measuring all kinds of stuff. Follow the process though, it should be working well by now so don't lose momentum by opening into free conversation. Sometimes, this step gets confused. Keep in mind that with metrics and tactics, correlation does not mean causality. For our example, let's say we use Wordpress for blogging, Trello for project management, Google Analytics for user tracking and ZenDesk for support. I've given Wordpress & 'Create a Company Blog' a three because that's how we'll measure completeness. All that is left is to say who is doing what. Depending on the culture of your organisation this could be really easy or really difficult. Hopefully, the process of doing this collaboratively has allayed any cultural issues you might ordinarily see. Sometime correlation makes less sense here. I Just use an 'X' to denote who's responsible in that situation. I've avoided adding the 'True North' to this example matrix since it's very specific to context. I would advise putting this in before you hold the meeting so that it guides the process and any strategies you devise don't compete with it. It's not traditionally added though, that's just my opinion. By now you should have a strategic direction where things line up properly. You know, for example that you're using Wordpress to create the company blog to help increase advertising and customer relations so you reach your target of 10000 average daily users. That's pretty powerful stuff. As usual, you need to communicate this and the true power of it is that it's a single one page document which ties it all together. Easy to understand and easy to pass around. As with all teaching examples, this one is a little contrived. Yours will be more tangible but it will take longer than you think to get there. That's okay, allow the group time to do a good job. This process can be repeated in a fractal fashion at all levels of the organisation. That's how it fits in with the '7 Steps' I've talked about above. Other tools can (and probably) support the process too. You might start with a series of A3s defining a problem situation. You might measure progress using a 'Bowling Chart' or a 'Statistical Process Control Chart'. You might validate the feasibility of your plan using 'Pareto Analysis'. You should feel free to use a process and tools that work for your organisation. Whatever you do, keep Systems Thinking and Respect for People at the front of your mind.